Idolizing other people is one of the most human things you can do, as we all want to be the best versions of ourselves, both inside and out. We’re not limited to idolizing only individuals, as many couples constantly show us that looking up to certain celebrity couples is as real as daylight. The energetic people of India have always been keen on presenting themselves in the most highly presentable manner, and therefore it’s not surprising that they idolize certain famous Indian couples who always seem like they have everything under control. According to the people of India, these few Indian power couples and their respective relationships are the perfect examples of how a relationship is supposed to look. 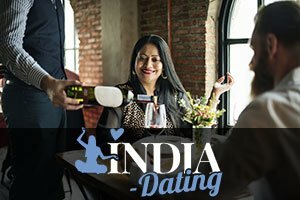 More than that, they represent everything that Indians value the most, therefore it’s no wonder they’ve been the love inspiration for many Indian couples over the years. It’s no wonder this couple is on this list, as it’s definitely one of the bets looking ones in India! Abhishek Bachchan and Aishwarya Rai make a true Indian power couple that attracts a lot of attention wherever they go. They’re beautiful, successful, and have been happily in love for years! Abhishek is the son of a legendary Indian acting couple, and he proved that the apple doesn’t fall far from the tree. Aishwarya, one of the most beautiful women in the world, is a 1994 Miss World winner, successful actress and a Goodwill Ambassador for the UN. Known as one of the most successful Indian celebrity couples that is still active in their respective spheres of work, the Bachchan couple is the ideal duo to many people across the country. They have been together for ages, and you can tell that they’re still very much in love with each other. There’s practically nothing Indians don’t like about them. Amitabh received numerous acting awards, and he’s still active in his field of work, while Jaya, after making her mark with acting, transferred into politics. Beloved by the whole nation, this Indian power couple is the ultimate sweetheart power couple! They’re adorable, can’t do anything wrong, and they are favorited even by the media. Deepika Padukone starred in a whole array of Indian movie hits, and she’s actually one of the highest paid Indian actresses ever. Her adorable love, Ranveer Singh, is known for trying out something new every now and then. When they’re together, they always manage to steal the entire spotlight. Of course you’re going to be revered and idolized when you and your partner are the richest couple in all of India. Mukesh Ambani is the richest man in the country, while also being the chairman, managing director, and the largest shareholder of the 2nd most valuable company in India. His wife, Nita is the founder and chairperson of the Dhirubhai Ambani International School as well as the co-owner of the Mumbai Indians cricket team, while also being actively involved in Project Drishti. If that doesn’t scream “power,” we don’t know what does. A couple that makes billions together, stays together. Azim and Yasmeen Premji are one of the longest lasting and one of the biggest power couples in India. Azim is known as the Czar of the Indian IT industry, while Yasmeen is regarded as one of the most influential philanthropists during the last 20 years. If you think we failed to mention your favorite power couple from India, feel free to mention it in the comments section.